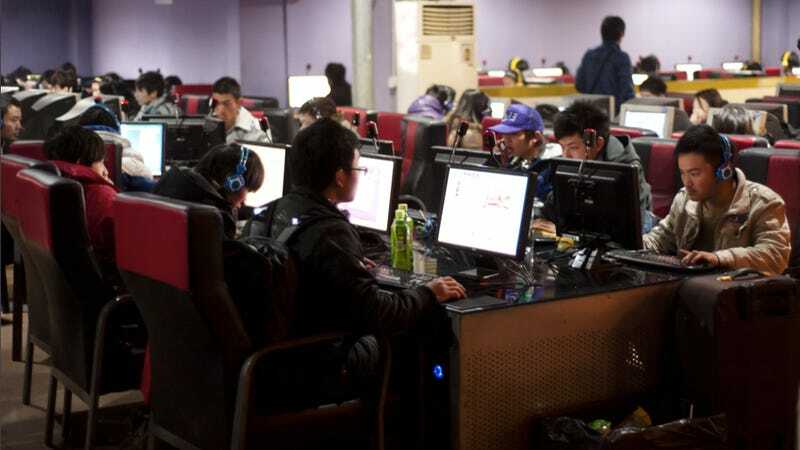 While playing his favorite online game at a local internet cafe, a gamer named "Zhao" repeatedly suffered internet disconnections. According to QQ Games (via Tech in Asia), Zhao apparently got incensed and went to the home of the net cafe owner. There, things reportedly escalated. And got awful. The net cafe owner, who was surnamed Ren, said that perhaps Zhao had downloaded a virus, which caused the spotty connection. Zhao began to hit Ren, who then grabbed a hammer to protect himself, but supposedly did not use it. Enraged, Zhao apparently got scissors and killed the net cafe owner and his wife. Reports state that Zhao then burned down their house to destroy evidence. This horrific crime happened last December, but Zhao wasn't arrested until this month.